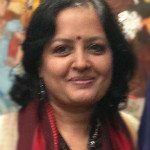 Usha is Co-founder of JaagoTeens – a registered society that conducts interactive sessions on digital safety. To date, Jaago Teens has provided more than 200 workshops and events educating more than 70 thousand individuals. In March 2016, JaagoTeens received the Shakuntala Singh Memorial Rita Kumar Foundation award in ‘Recognition of Achievement in Digital Education’.